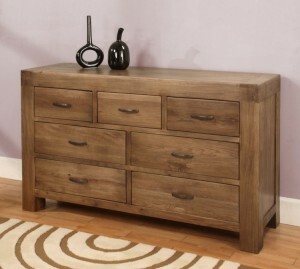 If any piece of furniture can be really considered as variable, then it is a dresser, which is usually a cabinet with drawers that can be used almost anywhere in your apartment. We are going give you some inspiration for what can purchase. What style of a dresser will suit you? Ultimately, any style you wish. The simple shape of the dressers does not pretend anything, the function is primary, however there are also pieces suitable in the style (or themed) interiors or in a cottage. 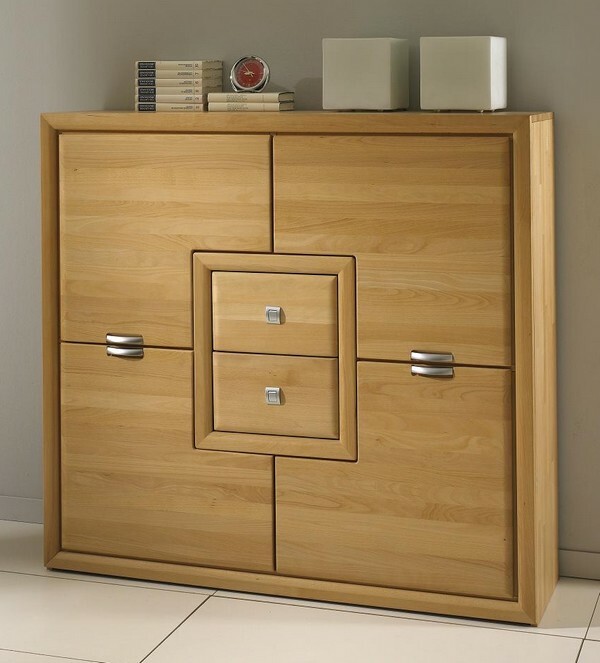 And if you want a truly original piece, you can have the fronts and the doors printed with a photo of a choice, or you can even have a dresser made to measure. “Nowadays, as dressers are generally referred lower cabinets with several drawers, which ideally run across the whole width of the furniture. They can stand solitary by a wall, it is not necessary to fasten them,” an architect says. They tend to have low legs or a base, they can also be equipped with wheels for easier handling, however you can see pieces on truly high legs (so you can store various things under them) or conversely, with no legs. If you regard only the low, wide and deep cabinets (e.g. 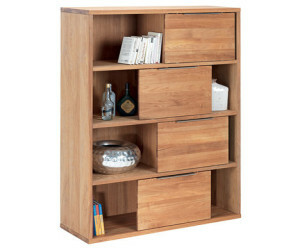 80 x 100 x 40 cm) as dressers and you see completely different ones in the stores, do not be surprised. 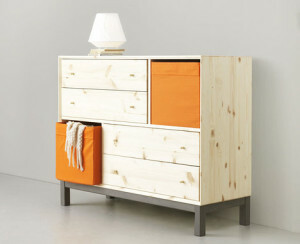 This piece of furniture changes according to the ideas of the manufacturers. They sometimes “stretch” it in width or to height, the drawers do not always run across the whole width or they are supplemented by shelves with doors, the drawers may be even replaced by removable boxes or by open shelves. 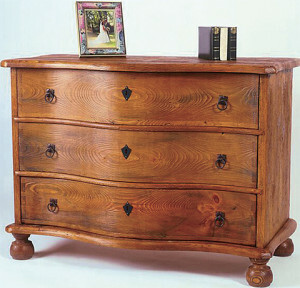 The dressers evolved from the earlier chests of drawers, the low cabinets adapted for storing linen. 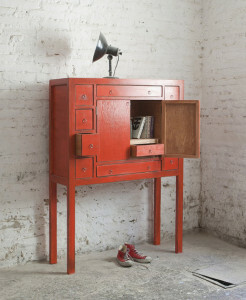 However, this piece of furniture will find its application also out of a bedroom, nowadays. It can be placed in a kitchen to store the cookware in it, in a nursery (as a changing table combined with a storage for clothes or toys), in a living room (as a storage furniture), in an office, in a bathroom or even in a hallway. Unlike other furniture, the top surface will also be useful to you for storing items or decorations, or a mirror can be placed on it. The dressers are mostly manufactured from wood-based materials, although you can find them in metal, plastic or even glass, too. “The laminated chipboard is marked as LTD. The stronger and better material is the hardboard (MDF). The chipboard (DTD) is also used, it can be laminated or covered by the veneer. Thus if you buy the “veneer furniture”, it means that a thin layer of wood (max. 3 mm) is glued to a carrier substrate, such as the DTD. And the timber is a piece of wood that will delight every nature lover, but this material responds to moisture more significantly, e.g. its colour stability is poorer. The drawers are equipped with handles, which complete the look of the dresser, however you do not need to use them in every case. Some pieces of furniture have drawers with holes for the fingers in their fronts, while others use recessed handles which do not protrude. The handle-less systems, mechanical or electric driven, represent handy and very modern solutions, which originally started in the kitchens, but now they are used in other furniture, as well. You should not focus only on the design, but also on the materials, the furniture implementation including the metal fixtures, as well as on the size, so that it fitted into your home and to your everyday life. Do you find this comment useless? The trend of high gloss finishes applied in home interiors reached the dressers, as well. But how about the risk of scratching the surface, e.g. by a ring? Minor damages of the surface made of the glossy T-acrylic can be fixed at home with a “healing kit”; the repair takes about 10 minutes.